Former UFC lightweight champion Anthony Pettis has had a rough patch since the end of his UFC title reign in March 2015 against Rafael Dos Anjos. Pettis has dropped five of his last seven fights inside the Octagon and is coming off a third-round loss to top contender Dustin Poirier in November. Pettis who spent nearly two months on the shelf before his nose and rib injuries from the Poirier showdown healed enough for him to be able to return to training. Michael Chiesa and Pettis originally were set to face at UFC 223 back in April, but the bout fell apart after former champion Conor McGregor’s alleged assault at fighter’s bus. Now the two lightweights have been rebooked to fight at UFC 226. Chiesa and ‘The Showtime’ both will look to rebound from losses in their previous bouts. UFC 226 PPV event is set to take place on July 7th in Las Vegas. The main headliner features a heavyweight super-fight between Stipe Miocic and Daniel Cormier. 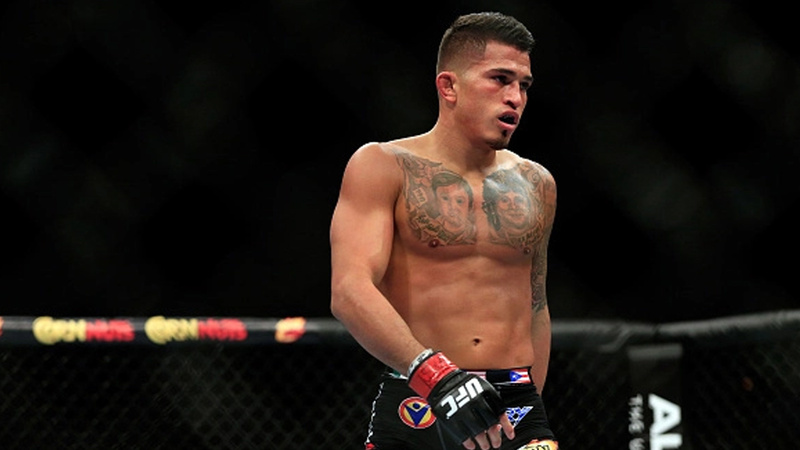 Do you think Anthony Pettis will make a come back against Chiesa?